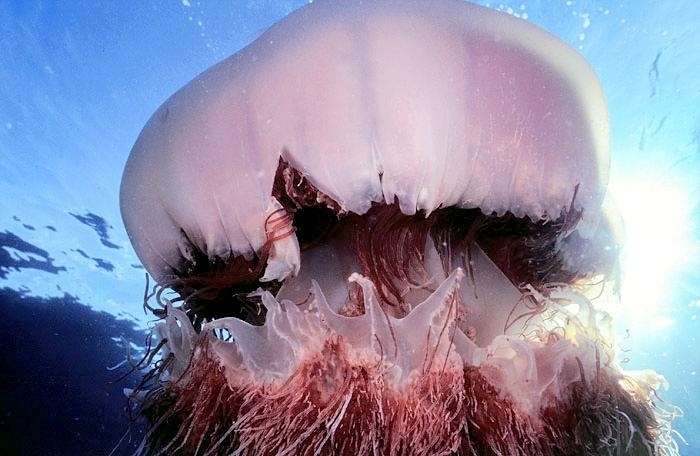 Right off the start, the proper scientific name for these animals is “Sea Jelly” not “Jellyfish”. 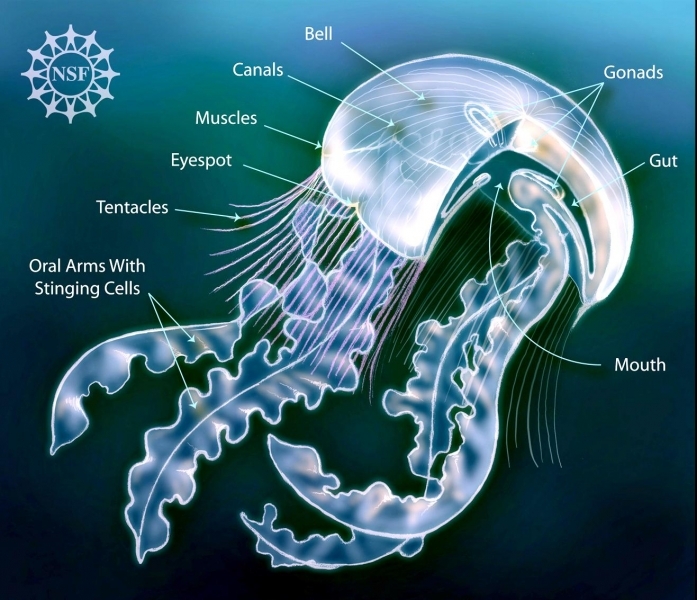 They are invertebrates not a fish nor do they have a backbone. 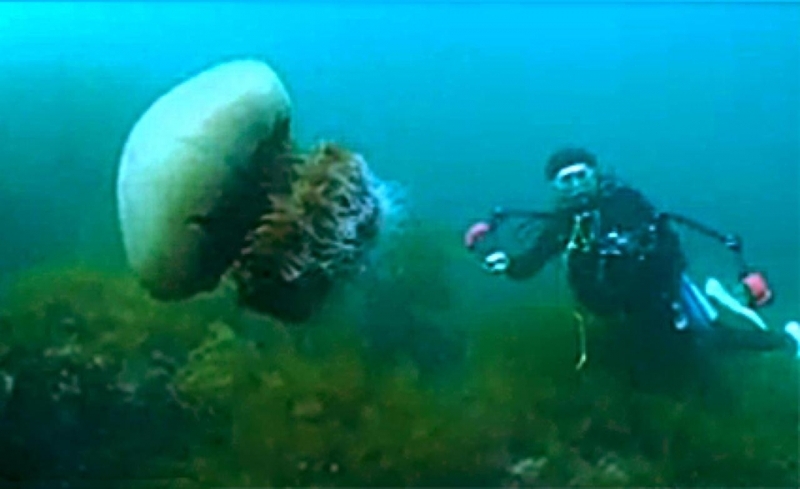 The Nomura’s Sea Jelly also known as the “Echizen kurage” by the Japanese, is a large jelly whose width is slightly larger than a height of a fully grown man. 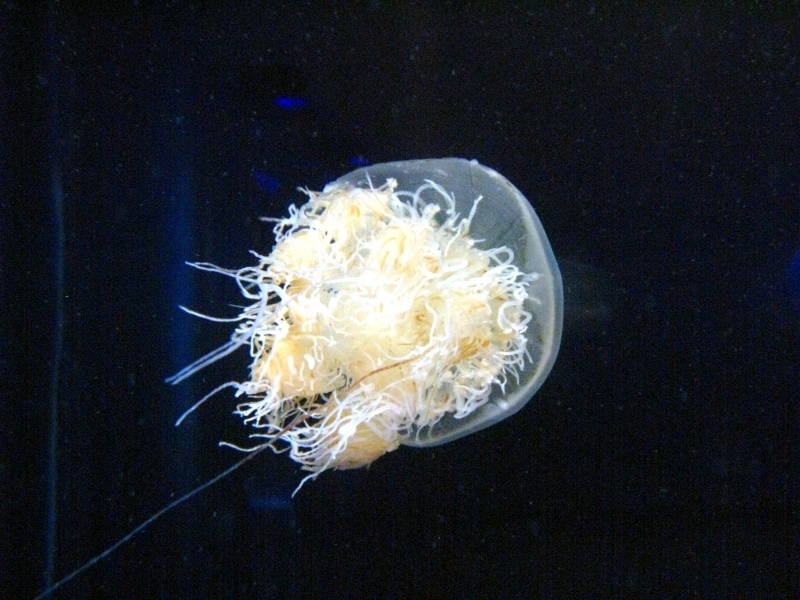 The species was named in tribute to Dr. Kan’ichi Nomura, Director General of the Fukui Prefectural Fisheries Experimental Station, who in early December 1921 sent a specimen in a 72-litre wooden tank to Professor Taki Kishinouye who found that it was unknown and spent some time at the station to study living specimens. 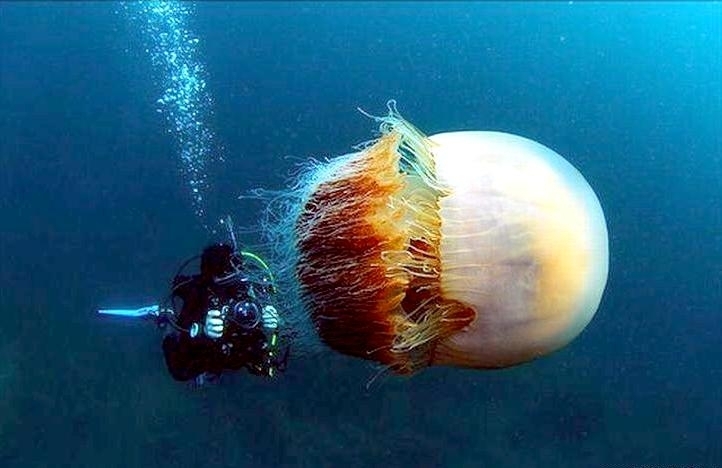 This sea jelly can grow up to 2 meters and weigh about 450 pounds (220 kilograms) which is as heavy as a male African Lion. 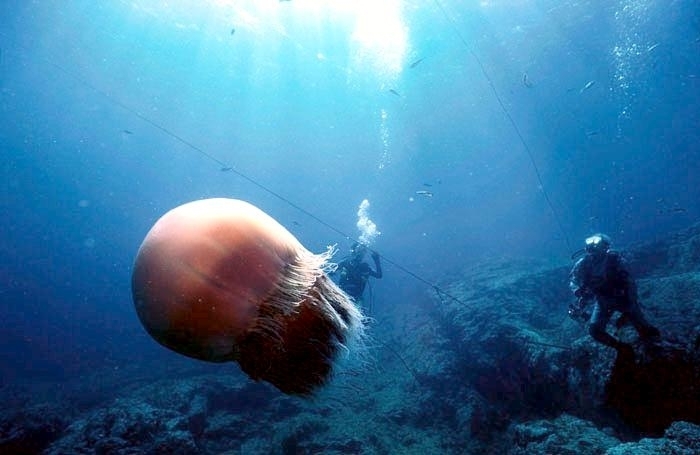 The Nomura’s Sea Jelly is the biggest sea jelly in the world. 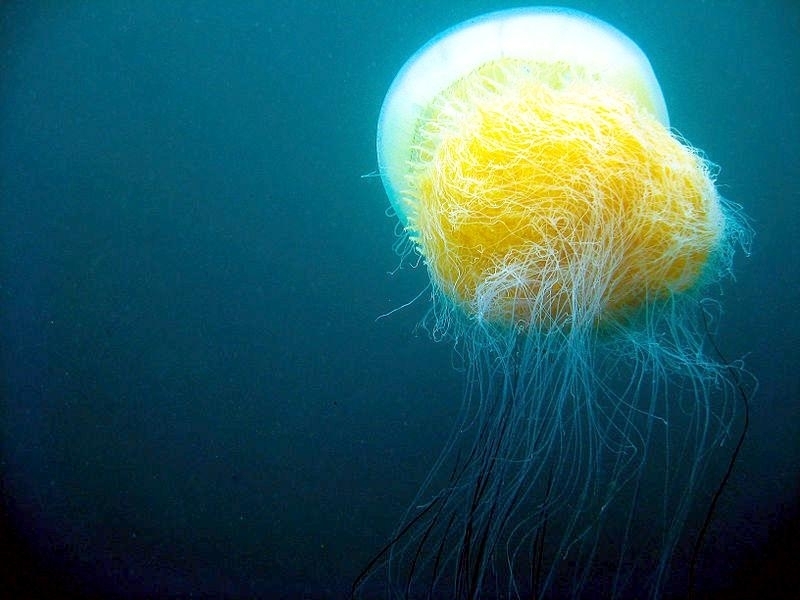 The mating and migration habits of this animal are not clearly understood and a series of studies have been encouraged by the Japanese government to research it. 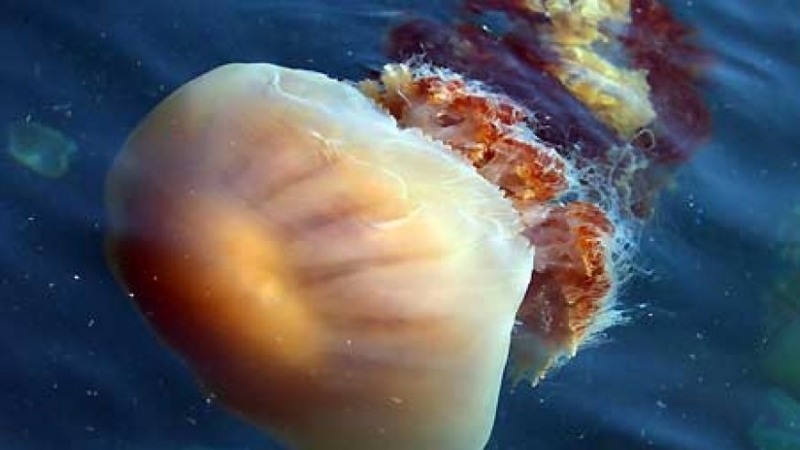 The sting of this sea jelly is rather painful but not toxic enough to cause serious harm to humans but there have been reports that the sting has caused build-up of fluid inside the lungs. 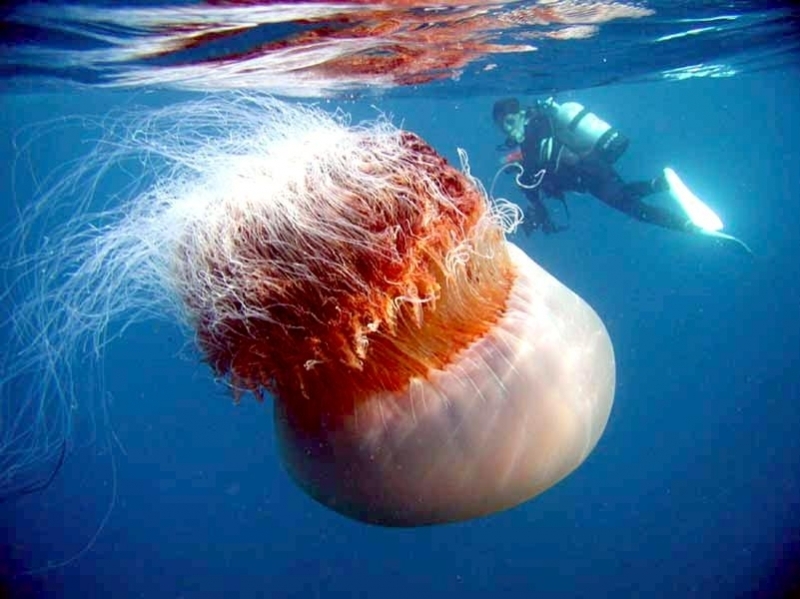 Although the reported number of human injuries is low, a few unlucky swimmers have been killed by this giant. 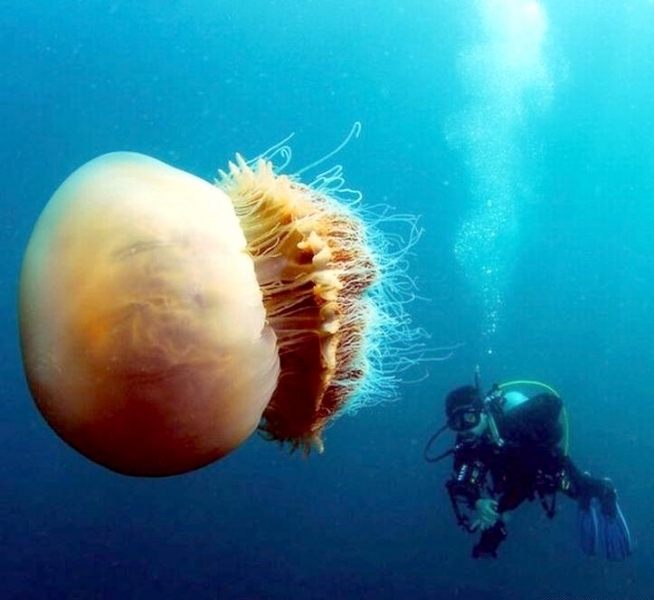 Nomura’s Sea Jelly are unwelcome visitors who are normally found in the oceans of China & Korea. 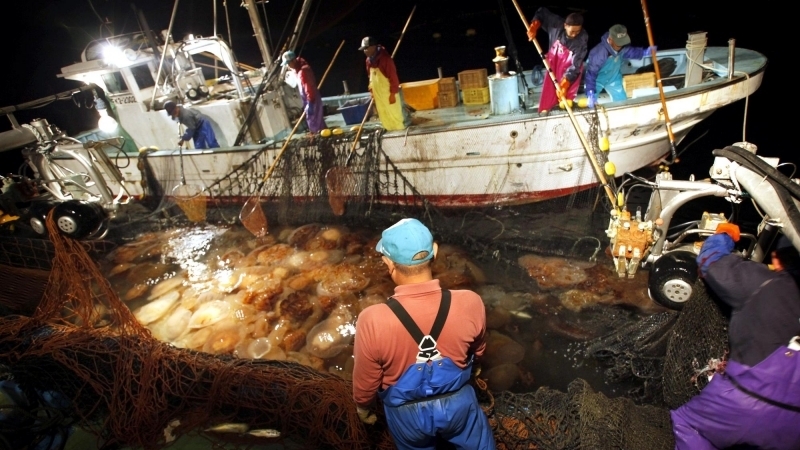 The numbers have grown in hundreds in some parts of Japan as well, with the population centralized in the Yellow Sea and the East China Sea. 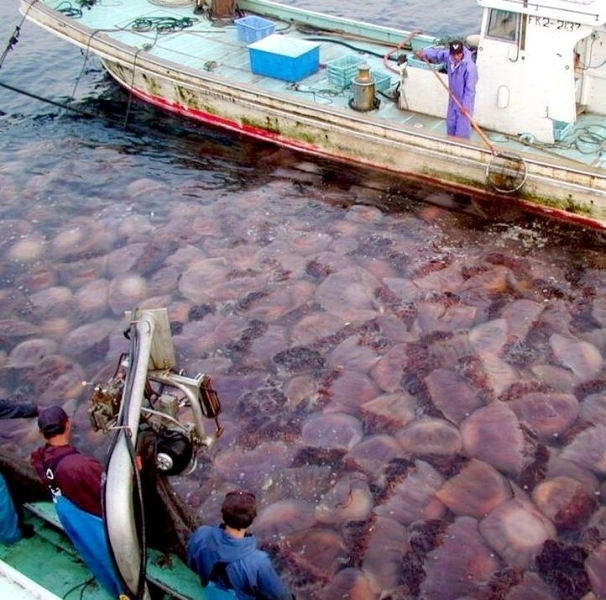 Their population is on the rise in the fishing waters and is a serious problem to the fishermen because a large number of the Nomura’s Sea Jelly gets caught in their nets. 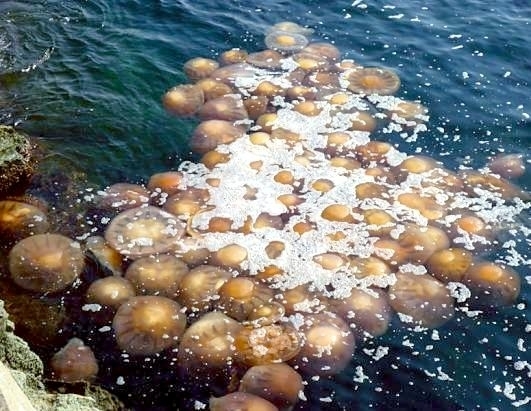 The cause for greater concern is that they poison their catch with their toxic stingers or crush them to death and often break the nets due to their weight. 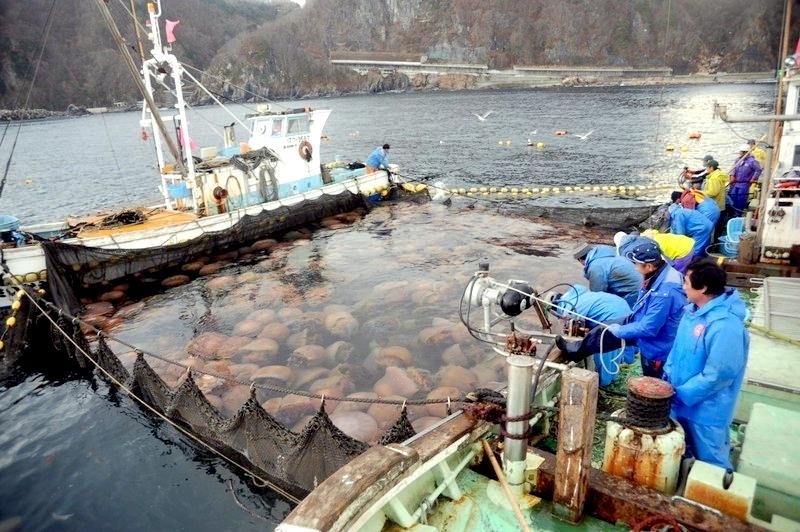 It’s a serious crisis which has started to affect their livelihood. 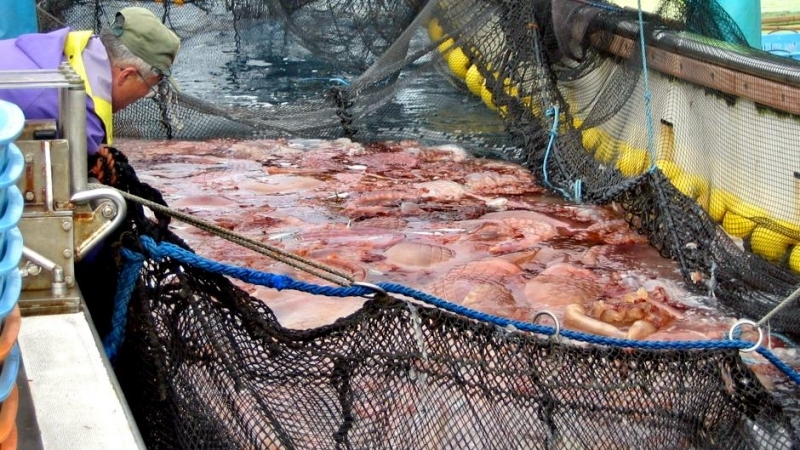 There are even reports where they destroy the local fisheries with their taste for fish eggs & larvae. 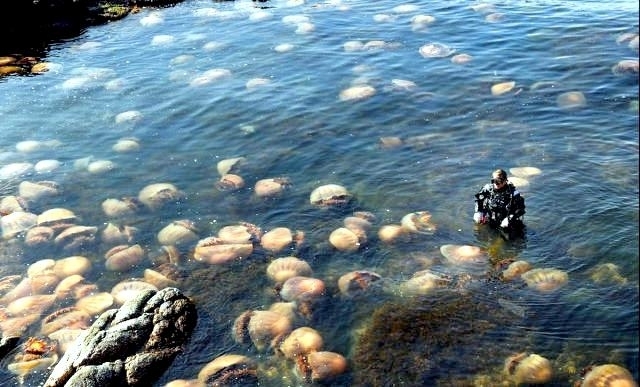 In some areas, the density is reported to be hundred times more than normal. 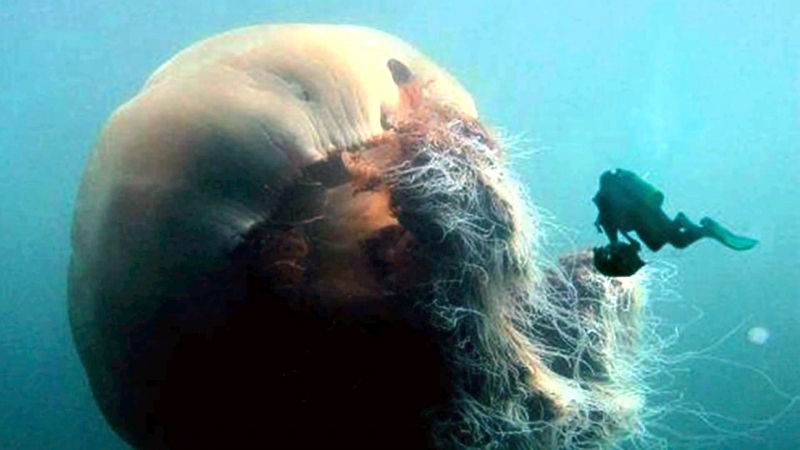 There are many theories that is said to be the cause of this explosion. 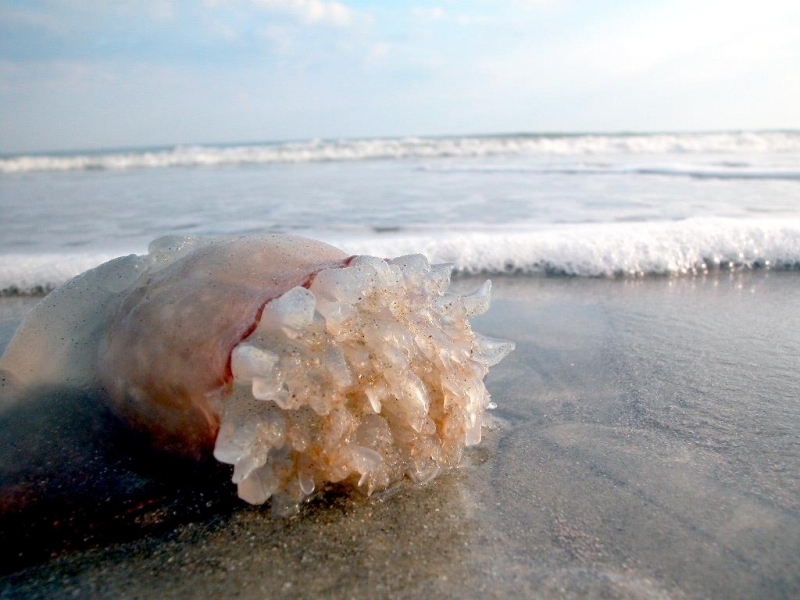 One is global warming where the seas have been warmed and are better suited for their breeding. 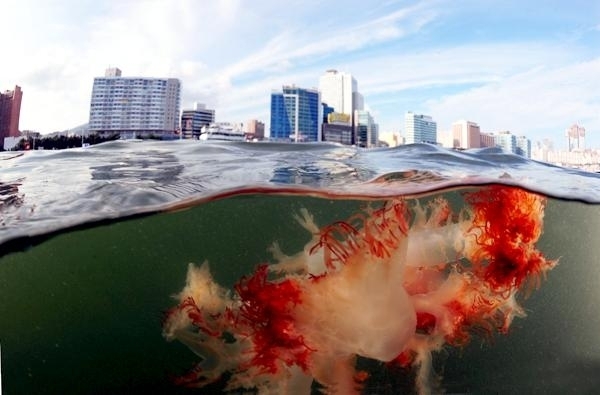 Scientists blame the over-fishing of the natural predators of the sea jelly and the pollution along the coast. 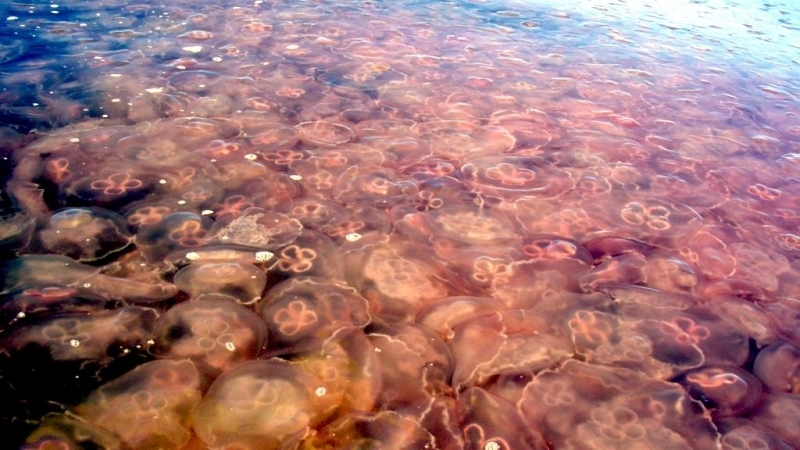 The high levels of nutrients in the water are also linked to this sudden sea jelly bloom. 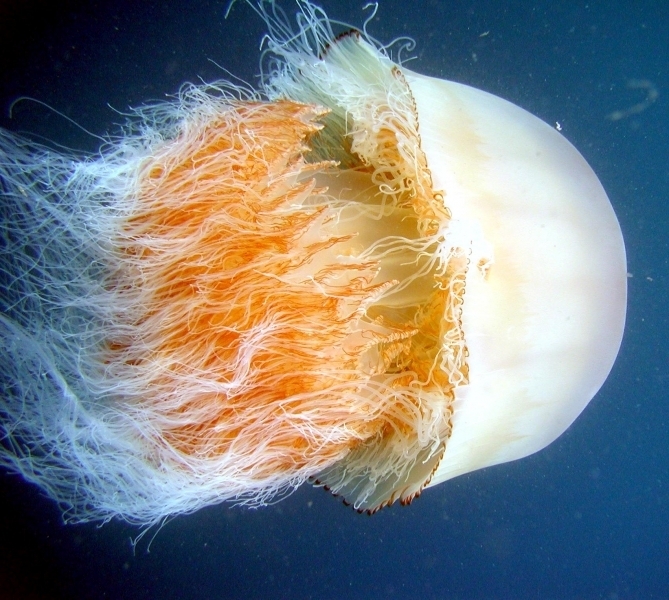 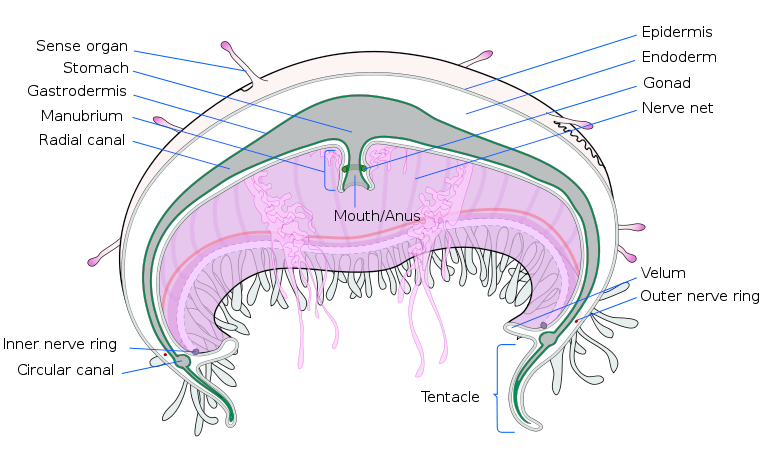 When the Nomura’s Sea Jelly is under attack or killed, they release billions of sperm or eggs. 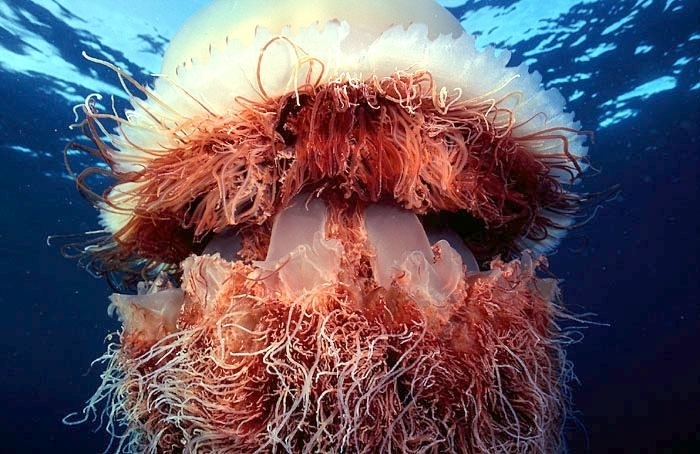 They connect with the water and attach to rocks or coral formations. These eggs detach from their home when the conditions are favorable and grow into more sea jelly millions at a time. 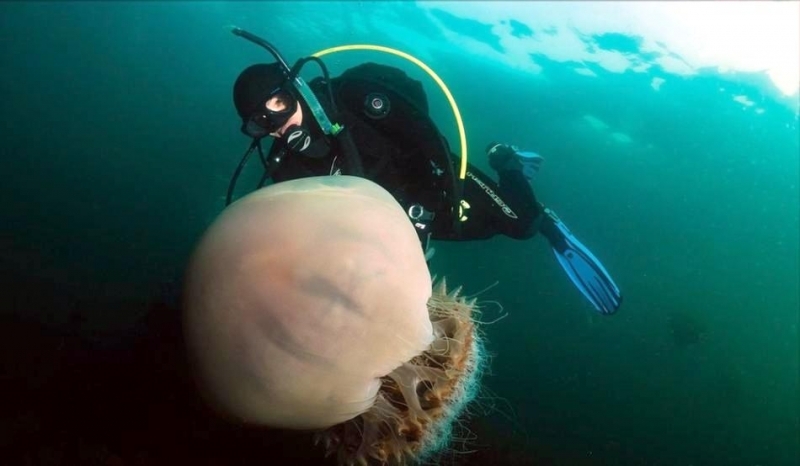 This makes the problem of combating the Nomura’s Sea Jelly even more difficult. 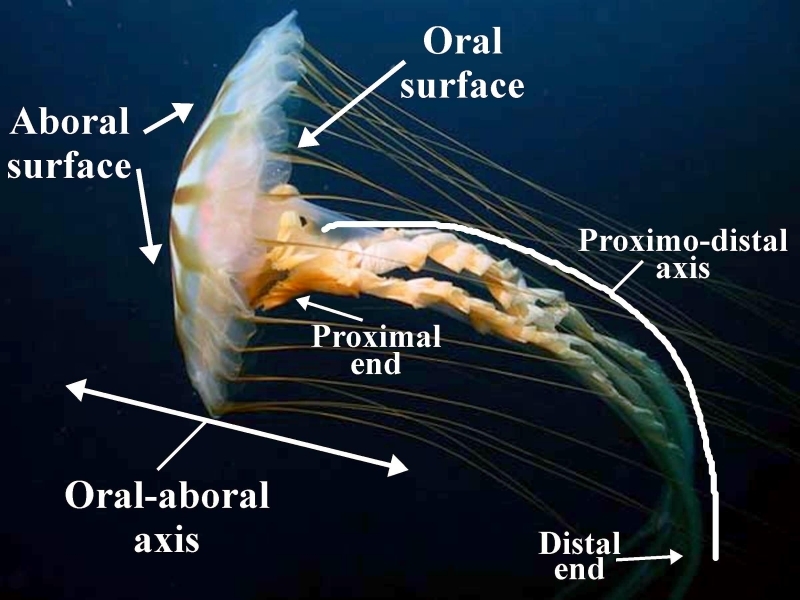 A baby Nomura’s Sea Jelly grows from the size of a grain of rice to the size of a washing machine in less than 6 months. 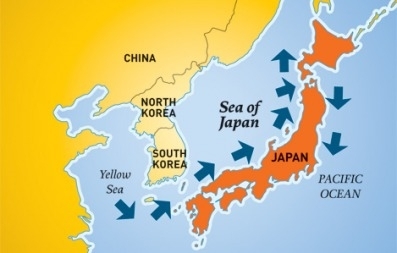 Japan has led the government to form a committee solve this problem. 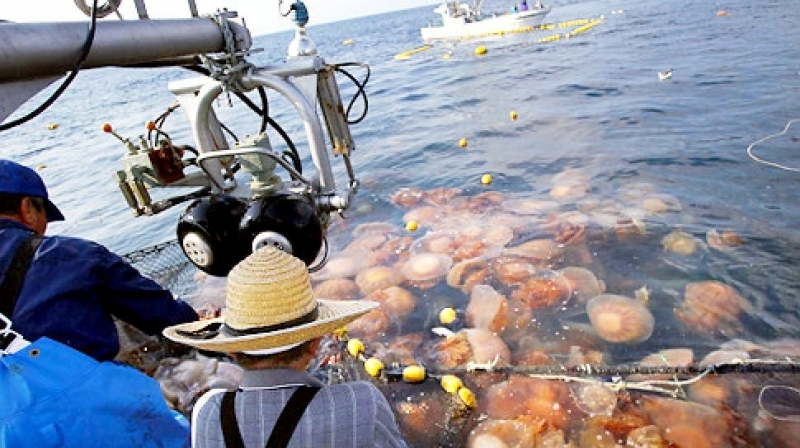 The issue was so serious in 2005 & 2006, that the fisheries officials from South Korea, Japan and China met to discuss strategies for dealing with the invasion at a sea jelly summit. 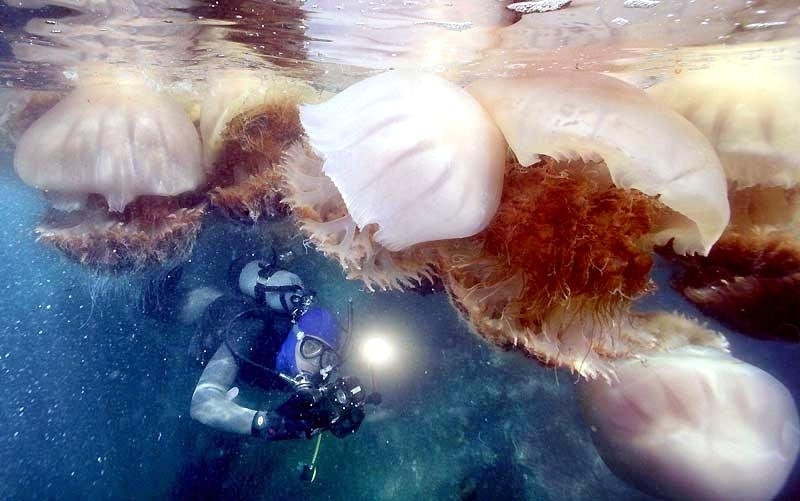 The coastal communities in Japan are trying to promote sea jellies as a novelty food which is sold dried & salted. 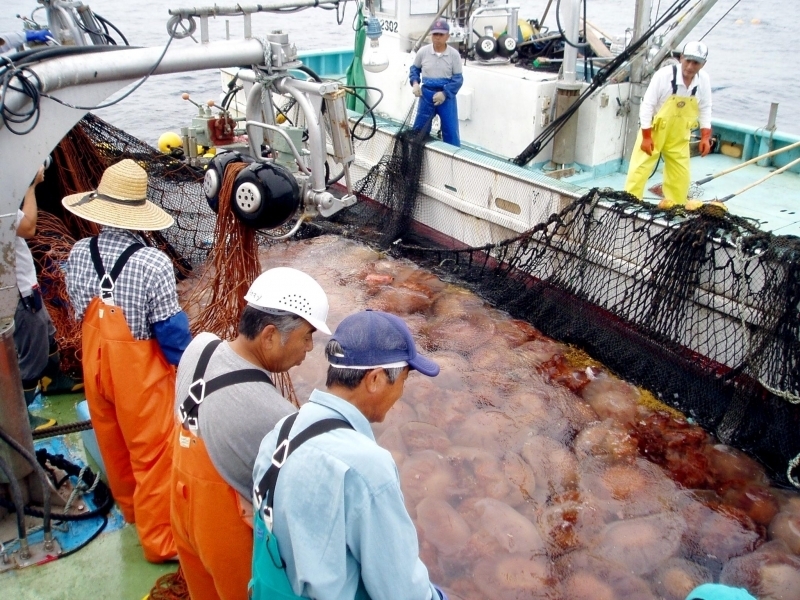 It is reported that collagen extracted from the Nomura’s Sea Jelly is beneficial to the skin and anglers have found out that they also make good crab food & fertilizer.